Definitely feel more comfortable using big beads now. This one is over 4cm in diameter and is from the batch I made last month. At the time I thought I would never dare to use this piece as a pendant because it was so big and orange, and less than a month later I am almost starting to wonder what the point is of making small beads! I am seriously looking forward to the next month. 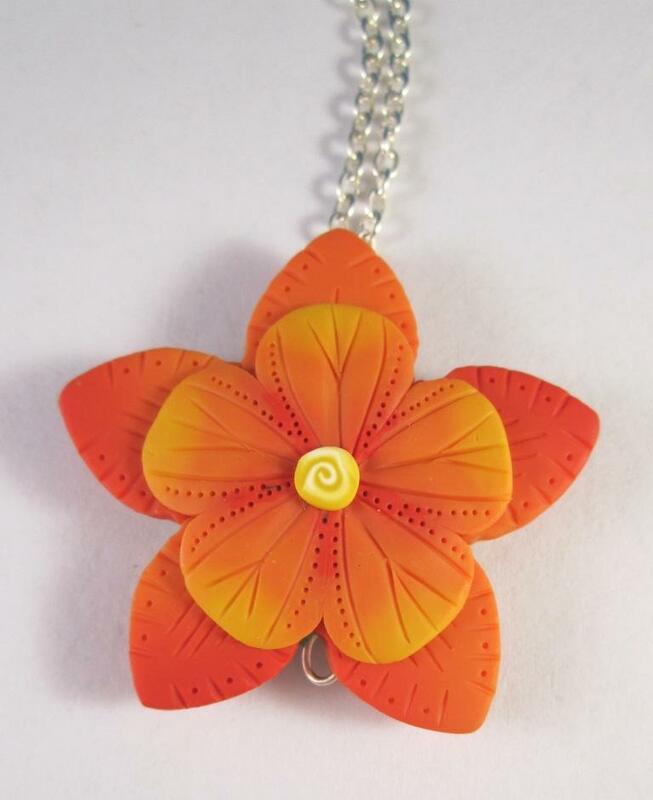 In the meantime here is my big orange flower pendant necklace. What wonderfull colours and gradiations! I love it, great job!